The project to launch cruises between the Caspian countries is at the stage of elaboration with the relevant tourism agencies of the Caspian states, Tourism Industry Committee of the Kazakh Culture and Sports Ministry told Trend. The committee added that the work on the project is also being carried out in accordance with the instructions of President of Kazakhstan Nursultan Nazarbayev to develop tourism projects for the development of tourism in the Caspian region. At the 5th Caspian Summit, held Aug. 12 in Aktau, Russian President Vladimir Putin said that "Peter The Great" cruise ship is being built in Russia, which will be able to perform all-round cruises across the Caspian Sea to all the five Caspian states. Two types of cruises are planned – short (7-8 days) and long (13-14 days) cruises. The short ones will call to several ports in the northern and southern parts of the Caspian Sea, while long cruises will call to the ports of all five coastal states. The commissioning of the ship is scheduled for the next year approximately. 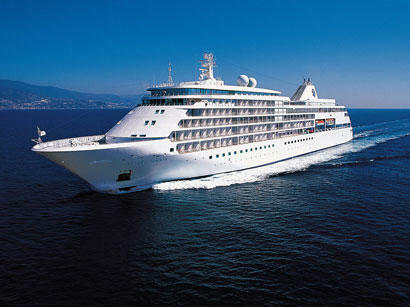 Most of the Caspian cruises are planned to begin and end in Baku. In the future, "Peter the Great" will also perform cruises connecting the Caspian, Azov and Black seas.